Rotterdam Short Sea Terminals is Europe’s largest hub for short sea shipping. At the heart of Rotterdam’s port we process containers efficiently, making sure your cargo reaches destination as quickly as possible. The short sea business is characterized by continious time constraints: every second counts. This is illustrated by tight sailing schedules and the delivery of containers just before departure. 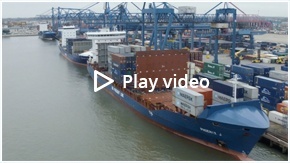 Rotterdam Short Sea Terminals makes every possible effort to service her clients and takes on every challenge. This flexibility is combined with a high level of service, which makes RST a reliable partner. Thanks to the terminal’s urban location in Rotterdam, the hinterland is well within reach. Its what makes RST an excellent base for short sea shipping. RST stands for sustainable transport. We encourage and accommodate transport by barge to reduce the number of trucks on the road. Thanks to the extended gate at Moerdijk we are able to achieve a reduction of transport movements. Furthermore RST is directly adjacent and internal connected to the most important rail hub in Rotterdam. Also alternative fuels have our attention. 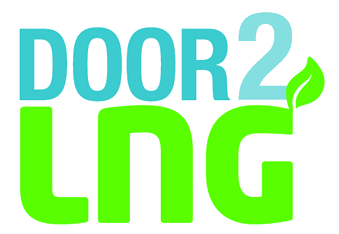 RST participates in the EU-funded international “Door2LNG”-project which aims at an upgrade of the maritime links by ways of a LNG-fuelled multimodal transport chain in the northern Europe. One of our partners in this project is Containerships plc. network reaches from the north of Africa all the way to Russia.